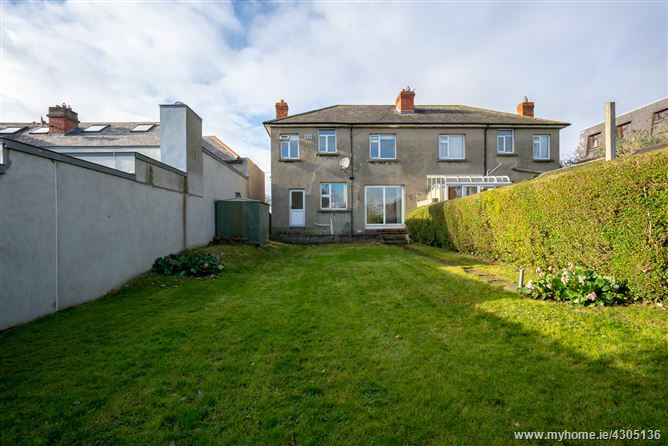 Welcoming, bright and spacious 4 bedroomed semi detached home with 3 reception rooms ( 2 interconnecting with original panelled sliding doors which retract neatly within the walls), extensive off-street parking and great gardens. 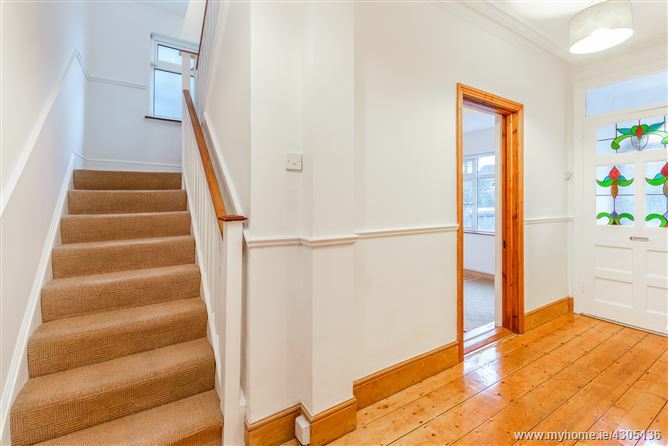 The lovely balcony accessed from a front bedroom adds a smashing dynamic to the visual appearance of the house as indeed do the Bay windows in both the main reception room and the large front bedroom. 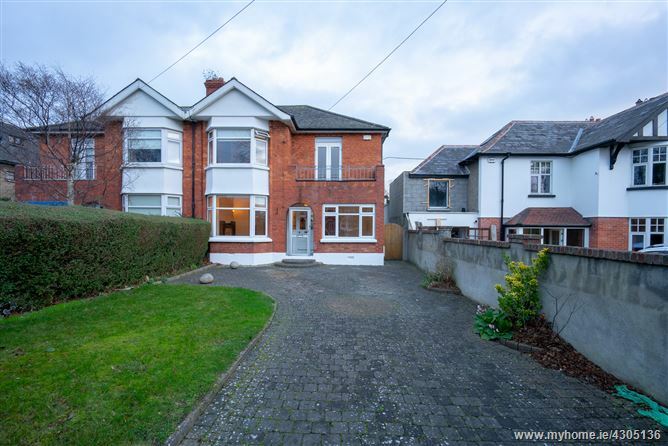 The house is approached via a very generous front garden which can accommodate a number of cars. A glazed aluminium porch leads through a magnificent part stained glass door to a very welcoming reception hall with polished flooring ( original floor boards)coved ceiling and dado rail. 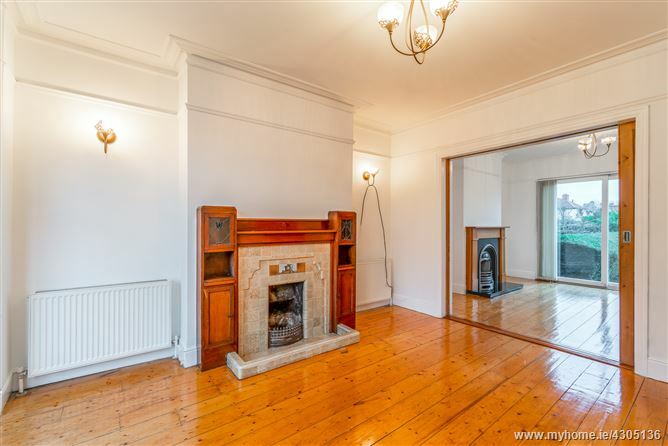 To the left, the main reception room with its' original fireplace, polished flooring, coved ceiling, original picture rail and attractive bay window overlooks the front garden. 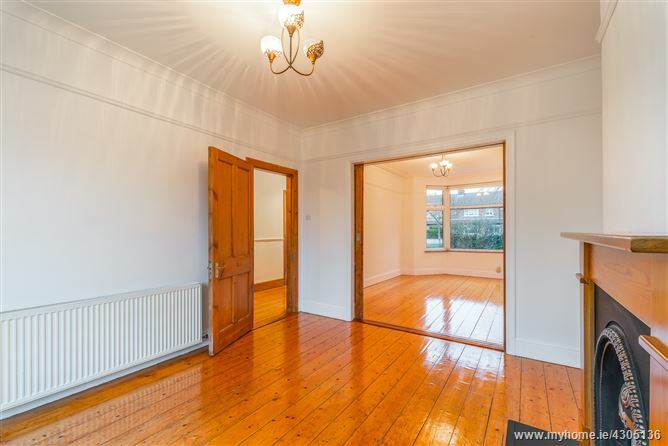 The rear reception room enjoys access from the front reception room and from the hall and like the front room exhibits original flooring, coved ceiling and picture rail. 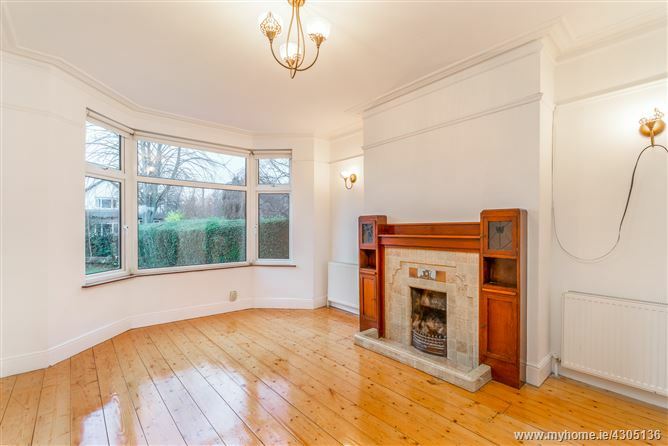 This room boasts a lovely cast iron fireplace with wooden surround and has access to the rear garden via sliding patio doors. 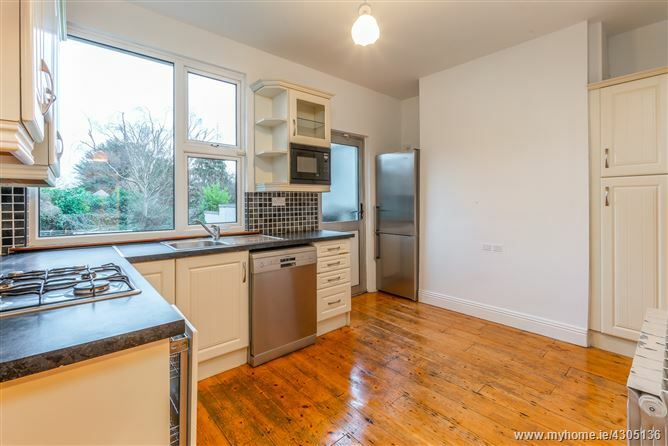 The kitchen also overlooks the rear garden and retains the original chimney breast ( fireplace has been removed) which could accommodate a stove/ range / Aga etc. An understairs storage area is accessed from the kitchen as is the garden. 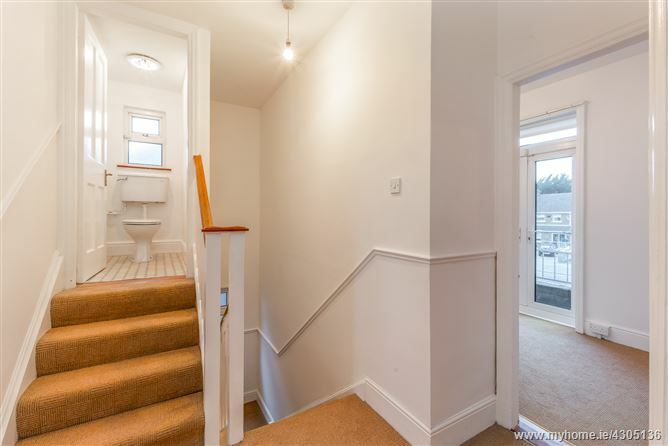 To the front the garage has been converted to create a room suitable for a multitude of uses - extra reception room/ study/ home office/ playroom etc and currently includes a useful utility area. The fine original staircase leads to the first floor landing which houses the hot press and affords access to an extra wc on an upper level. 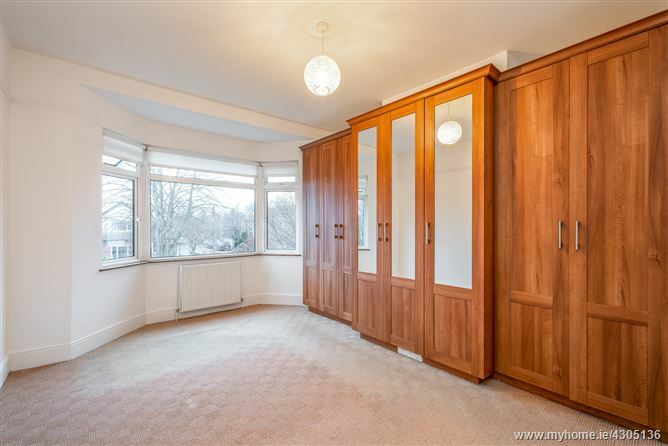 Either the front or the rear double bedrooms could be used as the master bedroom as both are very generous doubles and both benefit from extensive fitted wardrobes. 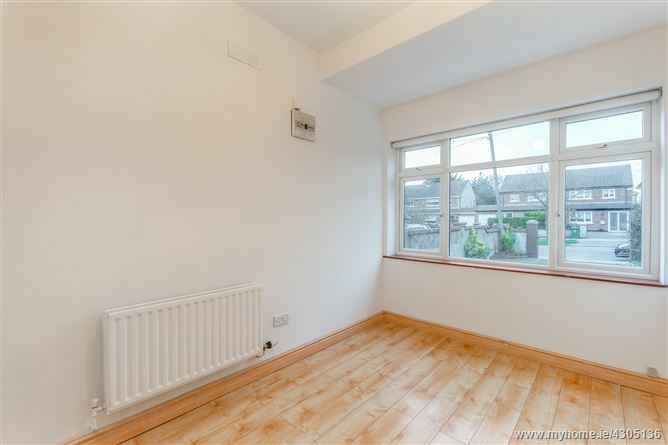 The front bedroom has the added advantage of a lovely bay window. 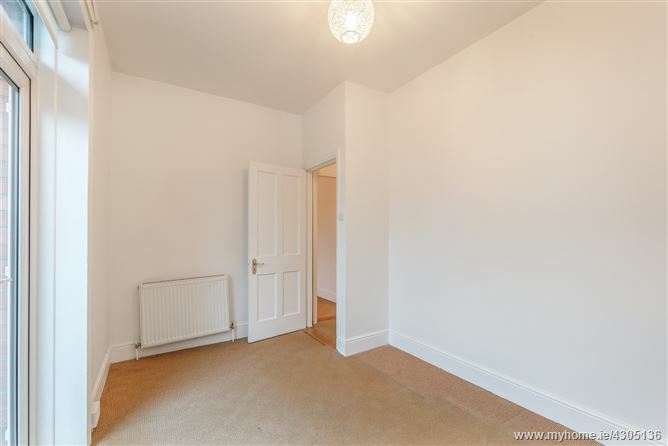 The third bedroom situated to the front enjoys access to the balcony and the fourth bedroom is a single to the rear. The bathroom benefits from a window as indeed does the wc on the upper level. The lovely atmospheric Clontarf village offers plenty boutique shopping facilities as well as a selection of bars and eateries. A number of great schools are easily accessible as is East Point Business Park, the East Link Toll Bridge and Dublin Airport. 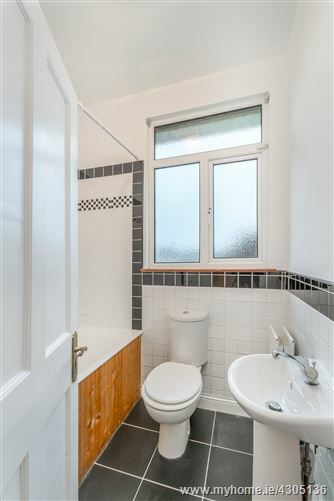 All in all a hugely popular and convenient location. Superb location with every facility and amenity on the door step. 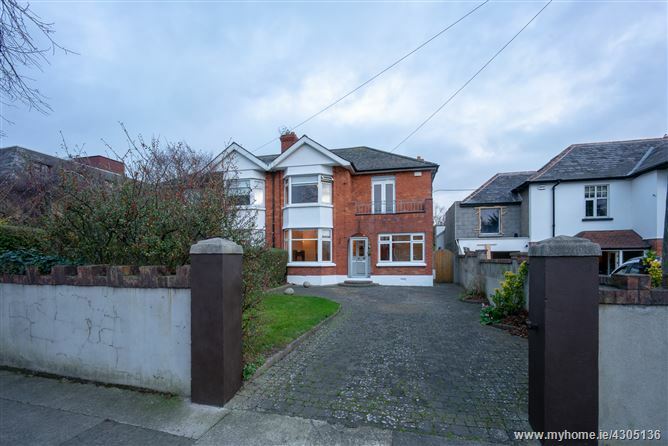 Charming family home with a huge sense of space and with great gardens offering plenty scope to extend if desired ( S to PP). Ample off - street parking to front which could easily be extended. 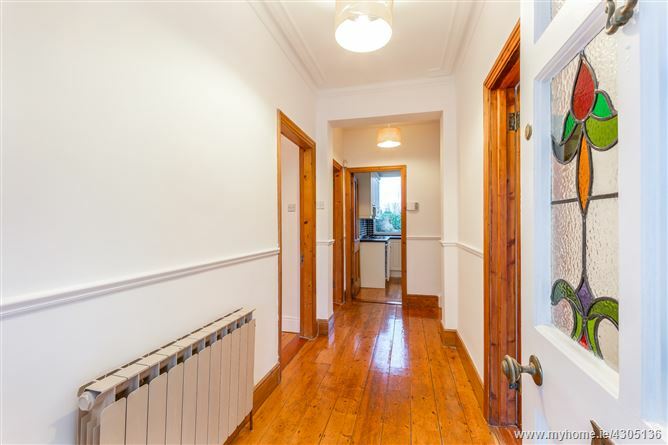 Many original features including magnificent stained glass front door, floor boards, picture rail etc. Reception 3 3.55m x 2.4m max To front. Laminate flooring. Storage and utility area plumbed for washing machine. Kitchen 3.6m x 2.7m excluding alcoves Fitted floor & wall units. Understairs storage. Original chimney breast in place which may allow for it to be re-opened to accommodate an Aga / stove. Bedroom 1 4.8m x 2.9m excluding bay window. To front with lovely bay window. Extensive fitted wardrobes with shelving/ drawer unit. Bedroom 2 4.1m x 2.9m To rear. 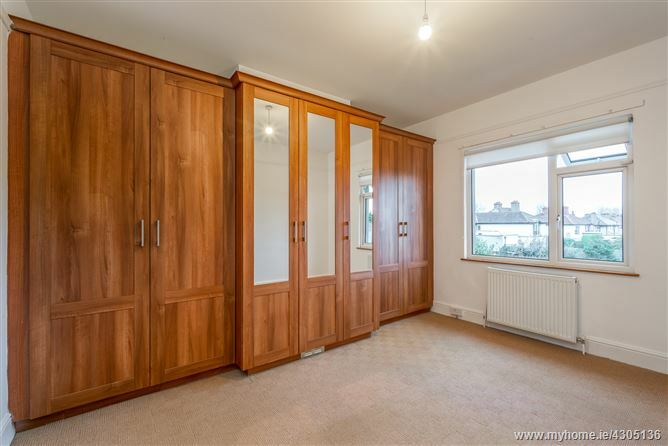 Extensive fitted wardrobes with shelving/ drawer units. Bedroom 4 2.6m x 2.15m max. To rear. The house is well set back from the leavy road that is Vernon Avenue. The walled front garden and spacious driveway to the front currently provides ample off street parking. As part of the garden is lawned, of course it too could be incorporated into the driveway to extend the parking facilities. 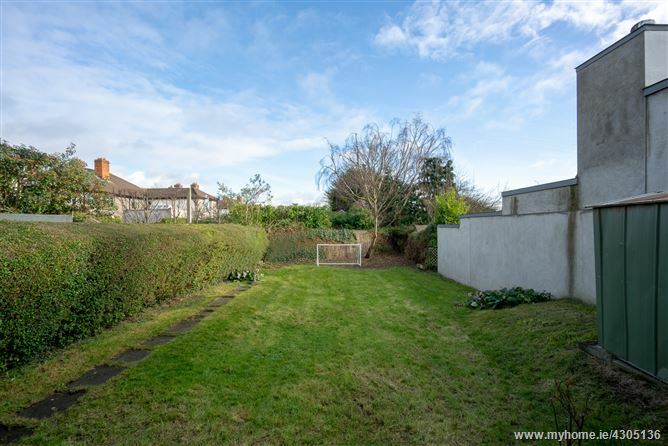 A side entrance leads to a very generous well enclosed mature lawned rear garden which extends to approx 20m x approx 5.5m, thus providing huge scope and opportunity for future development. The paved patio area directly outside the rear of the house pesents huge opportunity for al fresco dining and relaxation in the hzzy summer days and evenings. While benefitting from plenty mature greenery, it is not directly overlooked and so enjoys a moost private aspect. The information provided constitutes a general guidelind only.All details are provided in good faith, are believed to be correct and do not constitute any part of an offer or contract. Whilst every care is taken to ensure their accuracy, any and all details with regard to descriptions, dimensions, references to condition & necessary permissions are given, any and all intending purchasers must not rely on them as statements or representations of fact, but must satisfy themselves by inspection or otherwise as to the correctness of each of them. The firm do not hold themselves responsible for mistakes, errors or inaccuracies contained there-in.